Best Price Guarantee Best rate available online! Free Wi-Fi 500mb High Speed Wi-Fi available throughout the hotel! Home to the black stuff since 1759, a visit to ST. James Gate Brewery tells the story of one of Ireland most famous produce. With seven unique floors, the Guiness Storehouse is a fun day out featuring installations, educational videos, 'Pull Your Own Pint' workshops and finished off with a trip to the Gravity Bar on the seventh floor which boasts 360-degree views of Dublin. At the base of rhe atrium lies a copy of the 9,000 year lease signed by Arthur Guiness himself so if you run out of time to stop by on this visit, there's always next time! Catch the 70 towards Dunboyne outside the hotel (bus stop outside 'Connacht House'), get off at 'Blackhall Place/Law Society' and walk 6 minutes to the Distillery. The Old Jameson Distillery is located just off Smithfield Square on the Northside of the city. Originally built in 1780, this Distillery is the original site where Jameson Irish Whiskey was distilled until 1971 and once considered one of the largest and finest in the world. It is now a visitors centre that provides guided tours, whiskey tasting workshops, bars, restaurants and a giftshop. On the tour you will re-live the history and discover the secret of how just three ingredients are transformed into the spirit known as Jameson Irish Whiskey. Catch the 38 towards Damastown outside the hotel (Connacht House), hop off at 'Pearse Street/Tara Street' and walk 5 minutes to destination. A walk through the cobbled stones of Trinity College Dublin will bring visitors back to the 18th century. The Library of Trinity College is the largest research library in Ireland and boasts breathtaking architecture, with three million books held in the depository. The Book of Kells is a 9th-century gospel manuscript, and considered one of the most beautiful illuminated manuscripts in the world. It was written around 800AD and has been in safe keeping in Trinity College Library since 1653. Catch the 38 towards Damastown outside the hotel (Connacht House), hop off at 'O'Connell Street'. Just north of the River Liffey you'll find the grand boulevard that is O'Connell Street. 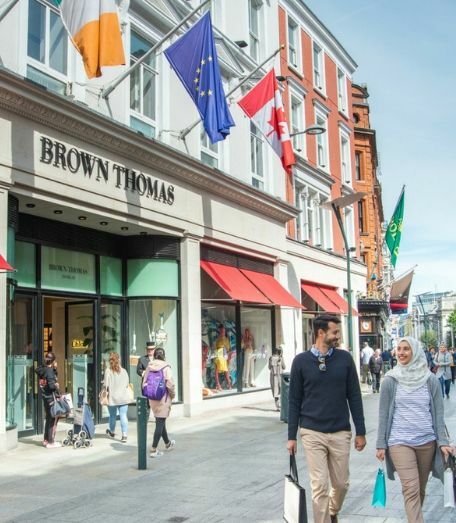 Dotted with shops, bars and restaurants there's lots to see and do, however this humble street is home to what could be considered the most famous building in Ireland - The General Post Office (GPO). Opened in 1818, this is one of the city's most beloved structures. It played a prominent role in Irish history after it was destroyed during the 'Easter Rising' on 1916. It has since been restored to its former glory and is undoubtedly one of the most recognised buildings in Dublin. 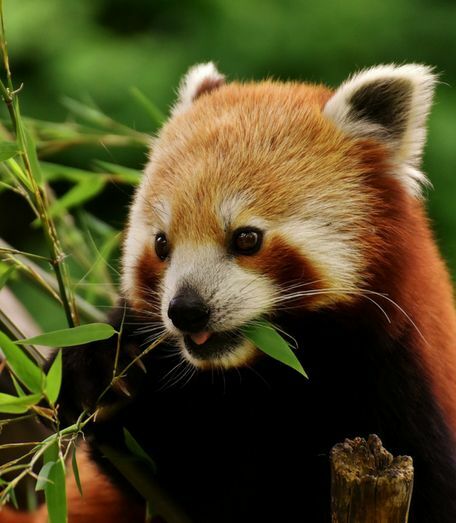 Covering over 69 acres of Phoenix Park, Dublin Zoo has a variety of areas featuring some of the worlds animals including Orangutan Forest, Fringes of the Arctic, Sea Lion Cove, African Plains, House of Reptiles and City Farm. Opened in 1831, the zoo describes its role as conservation, study, and education. Its stated mission is to "work in partnership with zoos worldwide to make a significant contribution to the conservation of the endangered species on Earth". Catch the 70 towards Dunboyne outside the hotel (Connacht House), hop off at 'Essex Quay/Exchange Street' and walk 4 minutes to destination. Christ Church Cathedral is Dublins oldest building, a leader visitor attraction and a place of pilgrimage for almost 1,000 years. Located in the heart of Medieval Dublin, Christ Church Cathedral is renowned for it's beautiful architecture, exquisite interior design, and is home to the famous 12th century crypt, one of the oldest and largest in Britain and Ireland. Located only 15-20 minutes walk from the Mespil Hotel is Ireland's best known Victorian public park. Walk to Upper Leeson Street and catch the 46A towards Phoenix Park, hop off at Shaw Street and walk 8 minutes to your destination. EPIC The Irish Emigration Museum is an interactive experience located in Dublin's Docklands. It will inspire and guide you on a journey to discover the stories of Irish emigration around the world, from early times to the modern day. Step through 20 themed galleries, and find out why people left, see how they influenced the world they found, and experience the connection between their descendants and Ireland today! Catch the 70 towards Dunboyne outside the hotel (Connacht House), hop off at 'Essex Quay/Exchange Street' and walk 11 minutes to destination. St. Patrick's Cathedral is one of the few buildings left from the medieval city of Dublin. It is the National Cathedral for the Church of Ireland and the largest cathedral in Ireland. Dublinia & The Viking World is a heritage centre, located in central Dublin next to Christchurch, at the heart of the medieval city. At Dublinia there are Viking artefacts and you can learn about the way of life in Dublin over a thousand years ago. Located just next to Dublinia is Christchurch and it’s worth a visit for its immensely stunning architecture. Walk to Upper Leeson Street, catch the 11 towards Sandyford, hop off at 'Sandyford/Blackthorn Road' and walk 1 minute. Imaginosity is a unique child centred creative space for children up to 9 years of age. Located in Sandyford, the numerous exhibits are educationally designed to inspire life-long learning through play, celebrating children's imaginations on the journey from curiosity to discovery. Facilities include a café, gift shop and lockers, with the museum being fully accessible. Catch the 70 towards Dunboyne outside the hotel (Connacht House), hop off at 'Leinster Street South/Clare Street' and walk 4 minutes to destination. The National Gallery of Ireland was opened in January 1864 and boasts some 2,500 paintings and approximately 10,000 other works in different media including water-colours, drawings, prints and sculpture. There is a Yeats museum with works by Jack B. Yeats and an award wining Millennium Wing. It is located just a short walk from the Mespil Hotel and is located near Merrion Square. Catch the 39 towards Ongar outside the hotel (Connacht House), hop off at 'Ashtown Roundabout' and walk 4 minutes to destination. The Phoenix Park Visitor Centre displays information and historical interpretations of the Phoenix Park from 3500BC to the present day. Adjoining the Visitor Centre is the fully restored Ashtown Castle, a medieval tower house that dates before the 17th century. The beautifully maintained gardens are well worth a visit and on the second Satuday of each month at 10:30am the gardeners give a talk to the public.